Cover chicken bones with filtered water and boil until meat can be peeled from bones. Throw away the bones. In the meantime add the onions, celery, carrots, green onions, garlic, parsley, basil, and bay leaves. Add the chopped vegetables, spinach, and pepper. At he same time add the rice, bring the liquid to a boil. Reduce the heat to a simmer, uncovered, for about 20 minutes, or until the rice is tender. Reseason if necessary. Serve hot. I’ve been using Carrington Farms Flax Chia blend for almost two months. Carrington Farms claims you can add it to almost anything. It’s a perfect way to instantly add more nutrition to any meal. It is a super-healthy additive to cereals, shakes, yogurts, salads, oatmeal, fruits, vegetables, casseroles and baked goods. Chia seeds are naturally low in carbohydrates and gluten free and are packed with Omega 3's, vitamins, antioxidants, protein, fiber, and minerals such as calcium, magnesium and zinc. The delicious and subtle nutty flavor of the flax and chia blend makes it the perfect super-healthy additive to my meals. It adds to the flavor of my food and takes nothing away. I use it a number of ways including salads. For example, I sprinkle it on hot cereal after it’s cooked. My favorite use of flax chia is in protein drinks. I drink it most days for breakfast or lunch. I blend this for about two minutes or until the frozen fruit becomes part of the smooth consistency of the protein drink. Drink slowly to savor and avoid brain freeze. Yummy! Carrington Farms has created the ultimate superfoods in flax products by blending their popular organic milled flax seed with other nutritional powerhouses, chia and hemp. These ready-to-eat organic milled flax blends are loaded with Omega 3's, fiber, antioxidants, and minerals, while having the added benefit of hormone balancing phytoestrogens called lignans, all of which help promote a healthy lifestyle and boosted metabolism. A recent article in Eating Well magazine cites chia and hemp seeds as "the next big thing" and explains that the seeds "deliver as much protein as nuts (and in some cases more) and all three of these seeds deliver heart-healthy alpha-linolenic acid (ALA), the plant-based omega-3 fat, also found in walnuts." Carrington Farms' 12 ounce ready-to-eat Flax Chia blend retails at $7.99. Likewise, the new 10 ounce Organic Flax Hemp Blend is ready-to-eat. The combination of organic milled flax and hemp provides energy and vitality, strengthens the immune system, supports cardiovascular health and contributes to an overall healthy metabolism. 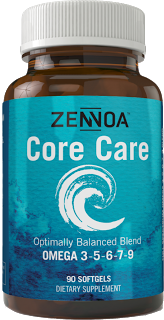 Along with an abundance of Omega 3s and the eight essential amino acids required for healthy cell function, the super nutritious blend is naturally free of gluten, cholesterol, sodium, sugars and provides a significant source of vegan protein and fiber. Used as a delicious component to omelets, yogurt, soups, salads and veggies, the organic Flax Hemp Blend is a simple and nutritious addition to any meal. It retails at $8.99. The new Carrington Farms Blends are available in major grocery and health food retailers including select Whole Foods Markets and Costco. I bought Carrington Farm Coconut Oil at Costco last weekend. These products can also be purchased online at www.CarringtonFarms.com. Since 2000, Carrington Farms has been making delicious, 100% organic, non-genetically modified Health Food Products accessible to nutrition-conscious consumers around the United States. The company's comprehensive line of flax, chia and hemp blends and cold-pressed organic extra virgin coconut oil serves a range of purposes, from conditioning hair and nails to weight loss and staving off chronic disease and are a great way for consumers to add more nutrition to their everyday life. Carrington's focus on a healthy lifestyle is summed up by its slogan: "Healthy Foods for a Healthy Soul." For additional information on the company, please visit http://www.carringtonfarms.com/. BOSTON—A sugar-laden diet can be a killer. That's the conclusion of an international study from the Harvard School of Public Health. 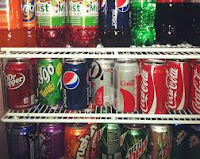 The authors attributed 180,000 deaths worldwide each year—25,000 in the United States—to consumption of sugary beverages, explains the July 2013 Harvard Women's Health Watch. Sodas and fruit drinks aren't our only sources of sugar. The average American eats between 22 and 30 teaspoons of added sugar each day, according to the American Heart Association. "The harmful effects of sugar are primarily due to the weight gain from added sugar in the foods we eat and sugar-sweetened beverages," says Dr. Michelle Hauser, certified chef and nutrition educator and clinical fellow in medicine at Harvard Medical School. "Most of the deaths are related to heart disease, cancer, and diabetes." How much sugar do we actually need? In reality, "you don't need any added sugar," says Dr. Hauser. According to American Heart Association guidelines, women should get no more than 100 calories a day (about 6 teaspoons) from added sugar. It's relatively easy to control the amount of sugar spooned onto food or into beverages like coffee and iced tea. It's harder to know how much sugar is hidden in pre-sweetened packaged and processed products. That's why it's so important to read food labels. To cut back on sugar, don't try to eliminate all sugary foods at once. Instead, try switching to a healthy diet made up of more satisfying foods-whole grains, fruits, vegetables, healthy oils, and lean protein. Read the full-length article: "How to break the sugar habit and help your health in the process"
How safe are sunless tanners? Harvard Women's Health Watch is available from Harvard Health Publications, the publishing division of Harvard Medical School, for $20 per year. Subscribe at www.health.harvard.edu/newsletters/womens or by calling 877-649-9457 (toll-free). Krill oil is quickly becoming one of the most popular supplements of the decade. Its incredible qualities and various health benefits are making it not only well known, but also in a very high demand. Krill oil is made from a species of krill [Euphausia superba]. Two of the most important nutrients in krill oil are: (1) omega-3 fatty acids similar to those of fish oil and (2) Phospholipid-derived fatty acids (PLFA), mainly phosphatidylcholine (also referred to as marine lecithin). High demand for krill oil is not always a good thing, as dishonest suppliers may use krill that are living in improper or unnatural situations, a practice that killed the fish oil industry as the healthy oils were polluted and made useless. The best krill oil uses the oils harvested from krill that are caught naturally in the wild, using methods that do not taint or reduce the qualities in the krill oil. A few providers of krill oil that not only sell 100% pure krill oil, but it also sells this quality product at the lowest prices possible. Doctor Krill recently announced that they would be providing only 100% pure krill oil. Their stocks of oil come only from naturally harvested krill with zero human contamination. 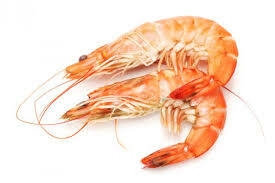 Orders of krill oil can be ordered from http://doctorkrill.com/. Dolly Parton’s reported surgery for reflux disease should raise awareness of the cancer risk posed by the disease, says Mindy Mintz Mordecai, president and CEO of the Esophageal Cancer Action Network (ECAN). ECAN is the only national non-profit advocacy organization dedicated to saving lives by increasing public awareness about the link between reflux disease (commonly referred to as GERD) and Esophageal Cancer, one of the fastest increasing cancer diagnoses in the United States. 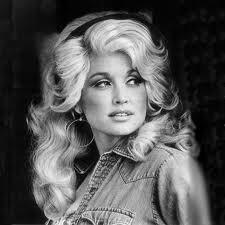 “Dolly Parton’s efforts to address her reflux disease present an important opportunity to educate the public about a potentially deadly condition most people think of as benign,” said Mordecai. The media have reported that Parton underwent surgery after her GERD symptoms became severe and she feared her reflux could lead to cancer. A LINX device, which is made up of a circle of tiny magnetic titanium beads, was reportedly implanted around the junction of her stomach and esophagus. LINX allows food to be swallowed as normal, but blocks the flow of acid back into the esophagus or food pipe. This procedure was cleared by the FDA in March 2012. Studies have shown LINX to be effective in dramatically reducing reflux symptoms, though no studies have shown it to prevent cancer. In the United States, the type of Esophageal Cancer caused by reflux disease has increased by more than 400 percent in the past 20 years. That rapid rise means that today one American dies of Esophageal Cancer every 36 minutes. ECAN promotes awareness because the disease is usually caught at late stages, when treatment is rarely effective. That’s why it has one of the worst survival rates of any cancer: Fewer than one in five Esophageal Cancer patients will survive five years. Esophageal Cancer and its precursor, Barrett’s Esophagus, have no real symptoms until the cancer reaches advanced stages when treatment is often too late. 1. You have more than occasional heartburn symptoms. 2. You have experienced heartburn in the past, but the symptoms have gone away. 3. You have a family history of Esophageal Cancer or Barrett’s Esophagus. 4. You have any pain or difficulty swallowing. 5. You have a persistent, unexplained cough. 6. You have been speaking with a hoarse voice over several weeks. 7. You have a persistent, unexplained sore throat. 8. You cough or choke when you lie down. With the assistance of more than 100 doctors across the nation, ECAN has created a free, downloadable publication that provides important information to help members of the public understand their risk and what they should do about it. The Guide for Patients and other useful information about the link between Heartburn and Cancer can be found at www.ecan.org. An attorney and former journalist, Mordecai founded ECAN after the disease took the life of her husband, Monte Mordecai, in 2008. The national organization based in Baltimore is directed by a distinguished group of doctors, business leaders and families affected by Esophageal Cancer. This is a delicious chili that includes chocolate as an ingredient. 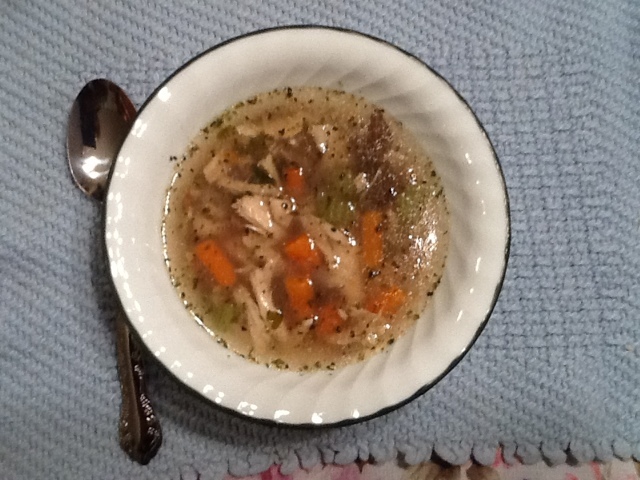 I've modified this recipe from one by Paula Deen. It feeds four people or two with leftovers. In a large Dutch oven over medium-high heat, add the ground beef and cook until browned. Next, add the onions, chili powder and cumin, and stir together. Add the cocoa, garlic and peppers, mix together and cook for 2 minutes. Next, add in the dark brown chili beans, cayenne pepper and oregano, and cook for another minute. Add the diced tomatoes and tomato sauce, cover and simmer for 1 hour, stirring occasionally. Serve with spinach salad topped with fresh sliced mushrooms, thin-sliced red onions, bacon bits, dried cranberries and vinaigrette.